Prefab Wednesday – The iT House From Taalman Koch. 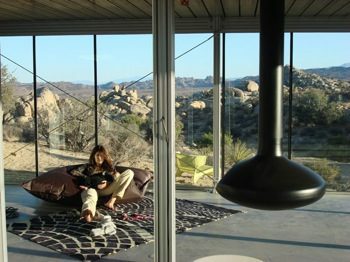 This weeks “prefab” house is from Taalman Koch, an architecture design company here in Los Angeles. 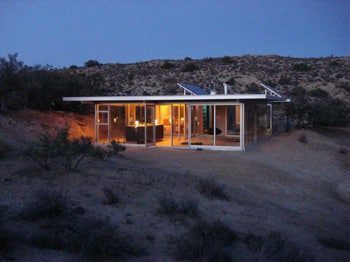 I put prefab in quotes because it is not a true prefab house, but rather one made from panels and giant pieces of metal. The house being featured is the “iT House”. While there is not a ton of information available about this house (the website itself is not even built), I did find a blog about it that let me see the construction and completed house. 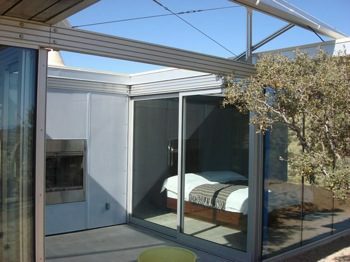 The house is almost all glass, with aluminum framing and a metal roof. Price? No idea, but it sure is a gorgeous example of what can be done with metal and glass. Outside of the house looking in. 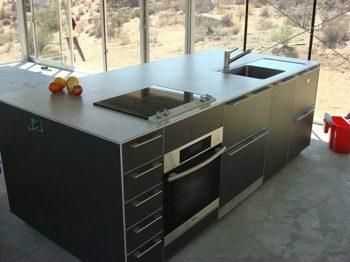 You can learn a little more about the architects over at Taalman Koch, but the real meat and potatoes of this house is over at the “iT House Blog” where you can peruse a ton of pictures of the site, construction, and the finished house, both inside and out. Would love to see this come to the market for others to buy! Anyone? I know you mentioned previously that you would put together a post on paraben free bathroom products. We have just launched a range of natural grooming products for men in the UK. We are trying to offer guys a mainstream alternative to the products they currently buy. We encourage our consumers to look at the back of our pack as none of our products contain parabens, sodium laureth sulfate, artificial colours or synthetic fragrances. We never test our products on animals and never use ingredients from animal sources. Our products are all made here in the UK, so minimal product miles. Please visit our website http://www.meetthebulldog.com for more details.